I am a Graphic Designer living in Vancouver, BC. I work on complete branding, illustration, web and print work to bring your idea to life, and give you a strategy to visually communicate directly with your clients. I’m here to understand your project, and to help you build a strategy, to take this part of your big idea further than you could ever imagine possible. For the web component, I illustrated a large-scale full page, as well as a banner illustration for use on the pledge form and website. The campaign achieved great success, with substantial pledge response and letters written to community MLAs. 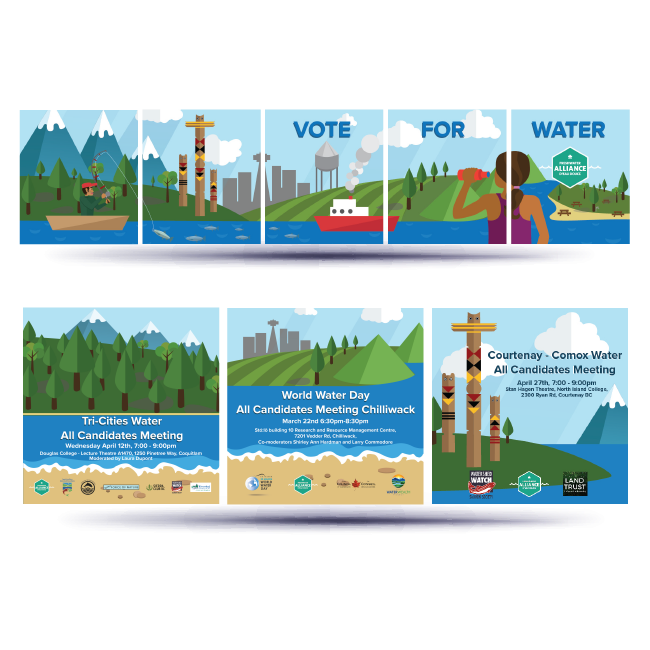 For the campaign centred around drawing attention to water issues in the province of BC, and bringing them to the forefront of elections issues, I created a large series of shareable images that gained huge traction online for the campaign. 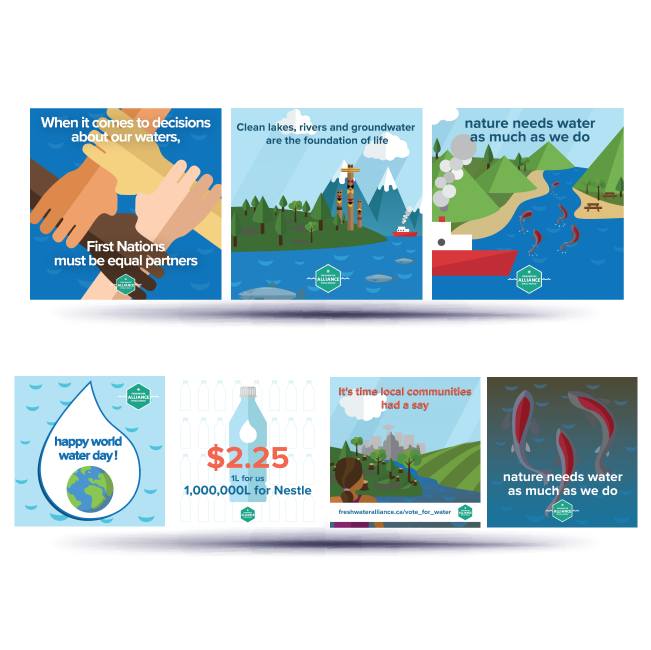 For World Water Day, and in preparation for the upcoming provincial election, I illustrated a campaign to draw attention to the water quality, quantity, and rights issues facing BC. UBC gears this campaign at 3rd and 4th year students, as their least engaged demographic, to connect with them about their future plans. 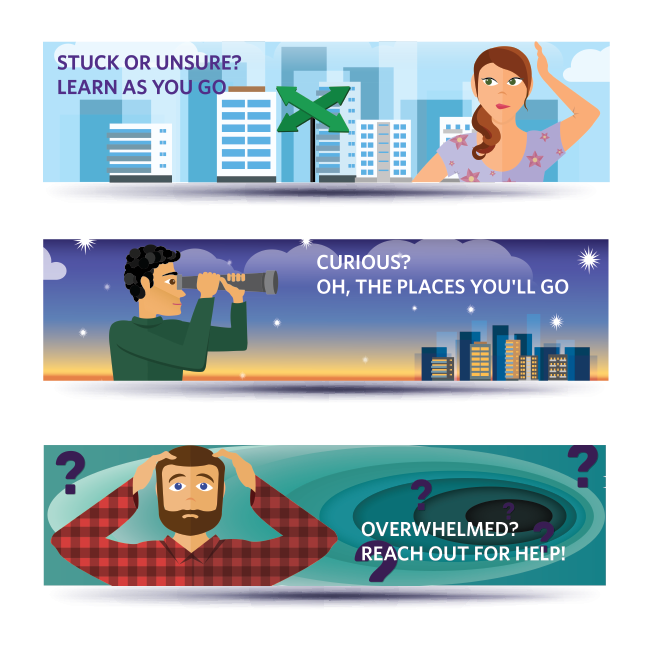 I created detailed illustrations representing 5 feelings students might have, and designs corresponding emails aimed at career preparation and involvement both on and off campus. 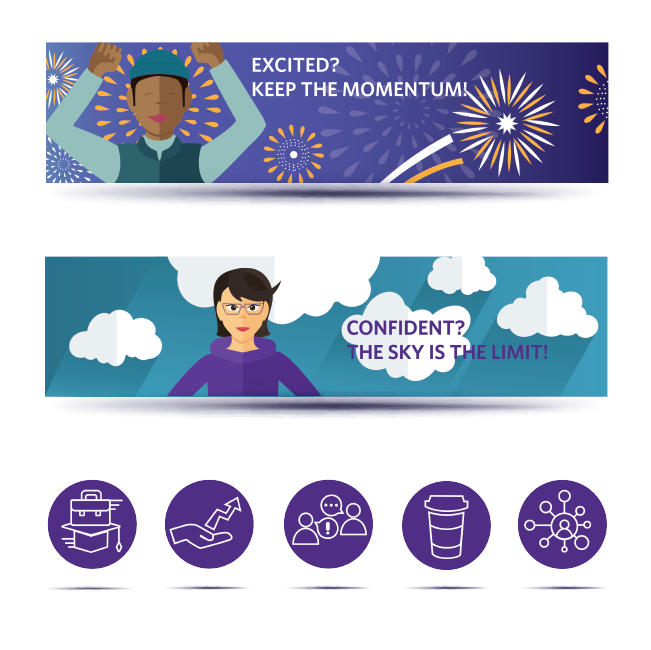 I illustrated a set of 5 banners and 5 icons based on the web artwork for a set of resource-based emails aimed at engaging 3rd and 4th year UBC students with various mentorship and community opportunities to help them explore career and development options once they graduate. UBC Student Communications Campaign for at 3rd and 4th year students engaged students in initiatives built around their options after graduation. The email banners were a larger version of the web graphics, with a slogan attached, leading into the resource – based content below. Play better is an organization changing the way we value and reward sports participation in young people through their standardized program. 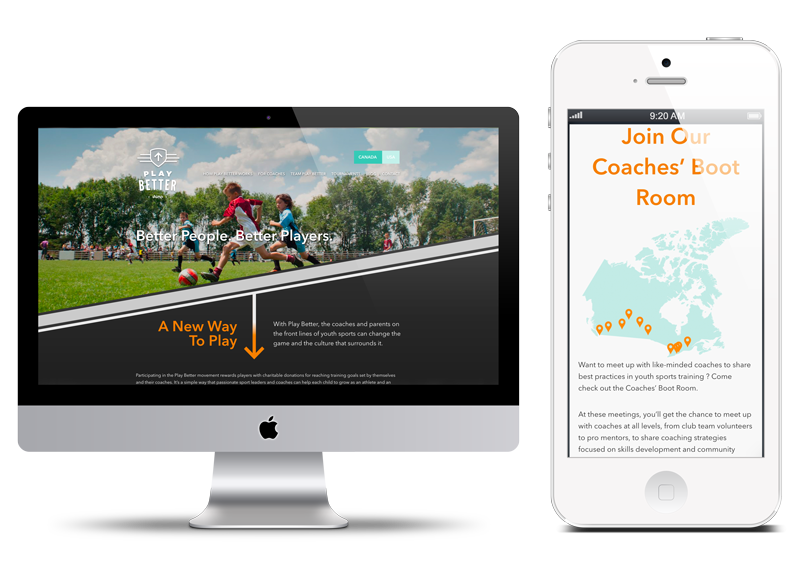 I redesigned their Canadian site, and along with my developer, modelled it visually and functionally like a clean athletic sites to appeal to their younger audience and promote athletic altruism. 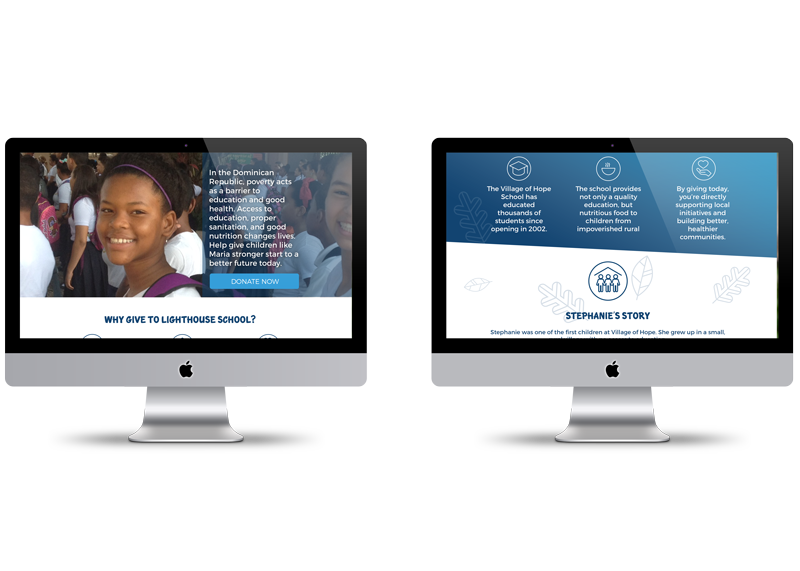 In partnership with Shift Philanthropy, I designed First United a new website. 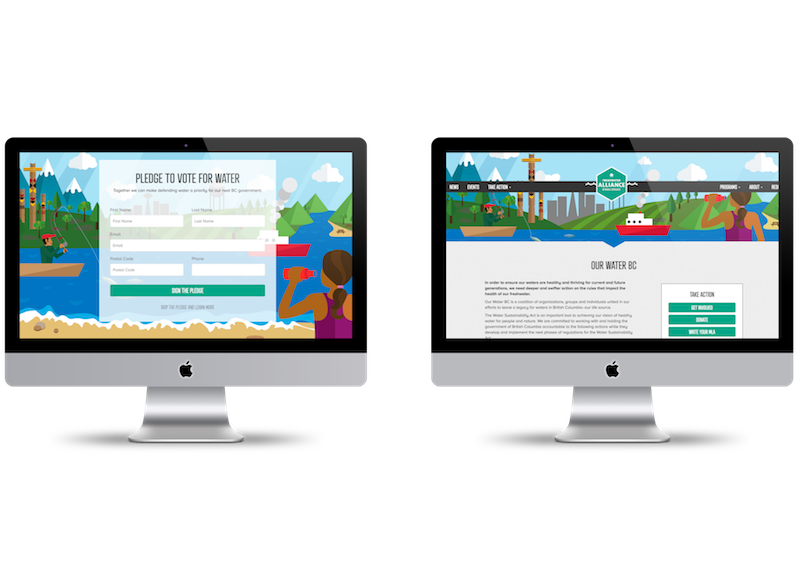 The main goal with the site was to attract both donors and community members to use the site as a place to find information about the organization and programs, in a user friendly, and visually appealing way. 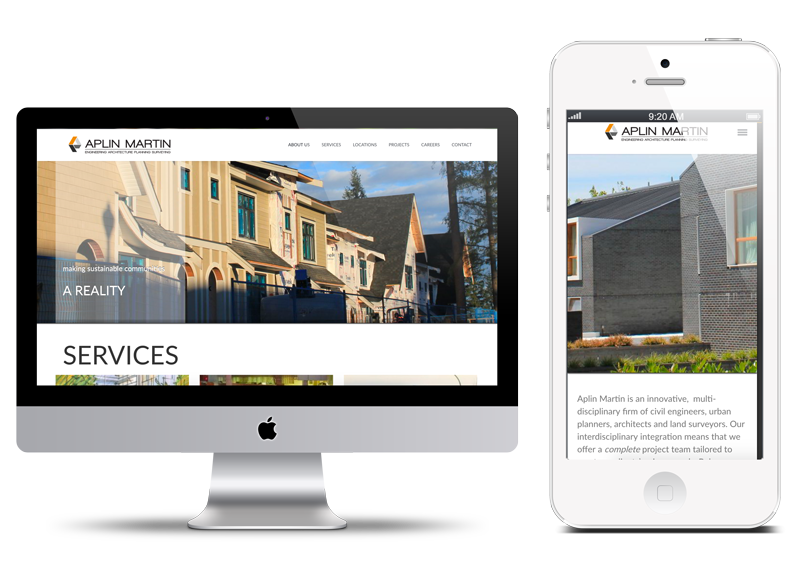 Aplin Martin Consultants Ltd. are a large civil engineering firm based in BC. They were using a site from the late 90’s, and wanted to completely change their brand and online presence to reflect their current position as a leading full service civil consulting firm, and to attract young talent to their growing company. In partnership with Shift Philanthropy, I worked on a brand guide, postcard and donations campaign page for Kinbrace in early 2017. The goal was to engage current and potential donors with the members of their community, and show the impact they have had, and continue to have, on refugee groups in Canada. 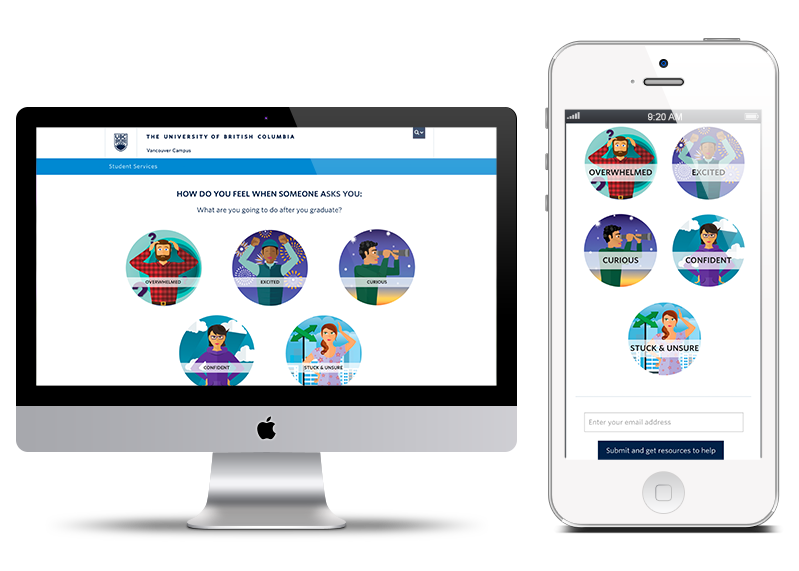 In partnership with Shift Philanthropy, I worked on a series of donations pages for iTeams, with the goal of sharing stories of their community, and enticing current and new donors to participate in targeted initiatives. 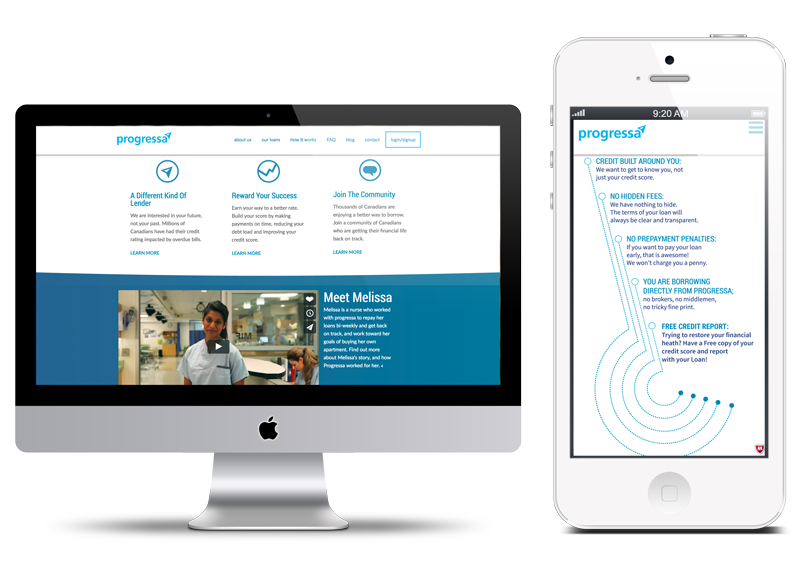 To update crucial functionality, and align their site visually with their competition, myself and my colleague did a complete visual overhaul of their HTML responsive site. I redesigned all their graphics and visual elements to support their growing brand. Working with a developer, I managed their site relaunch, making it much faster, and much more functional for their customers. 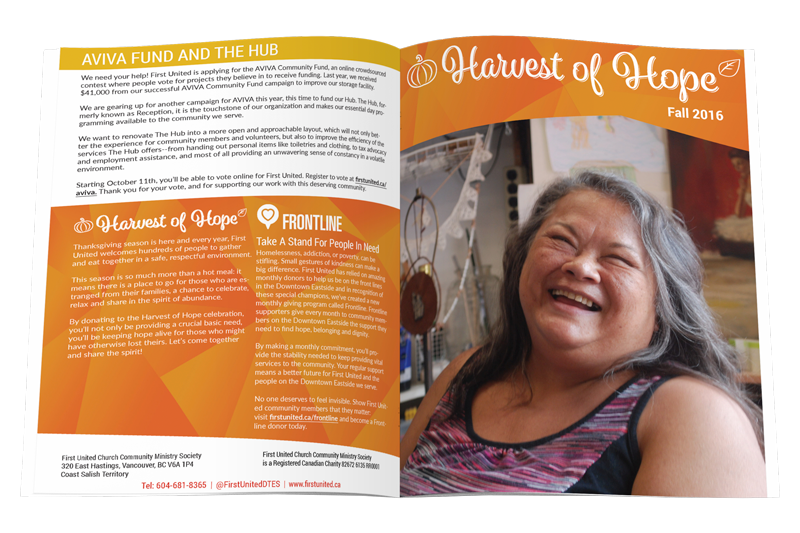 In partnership with Shift Philanthropy, I designed the fall campaign for First United Church, that engaged current and new volunteers and donors. We worked with fall colours and their brand illustration style to create something with impact, and received substantial positive feedback and engagement from regular and new donors. In partnership with Shift Philanthropy, I designed a newsletter and mail-out, complete with envelopes and illustration work for their holiday campaign to connect with current and potential contributors. This campaign was 4x more successful than First United typically are in an entire year. 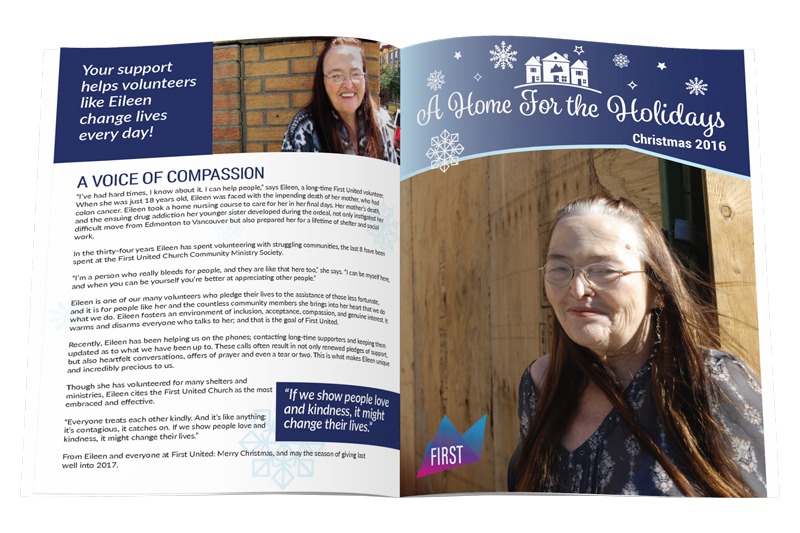 In partnership with Shift Philanthropy, I designed the impact report newsletter, to show current and potential volunteers and donors the meaning of their support. 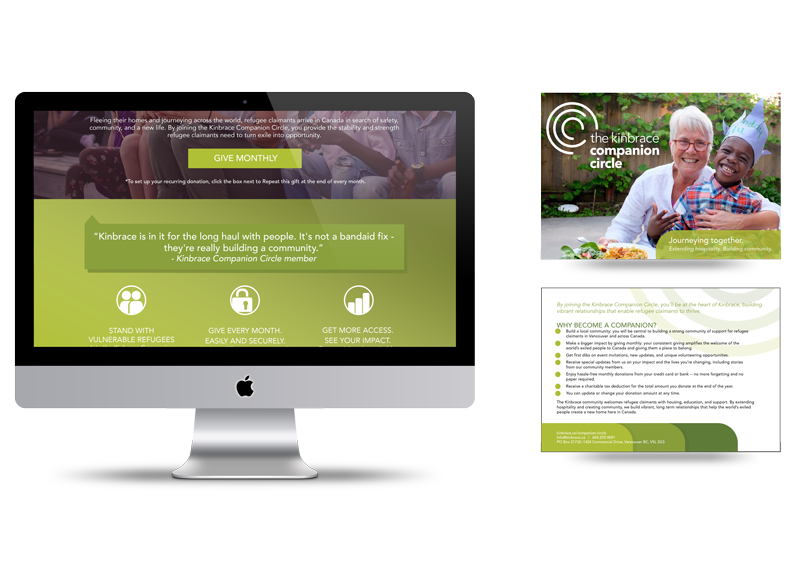 We worked with brand colours and extensive icon design to create an engaging display of their massive impact on the First United Church community. 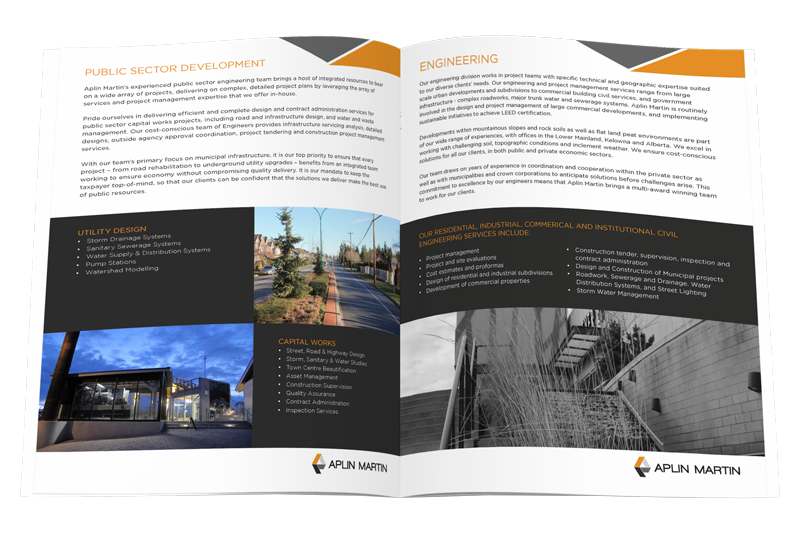 I work with Aplin Martin, and their affiliated teams, to ensure the brand remains consistent throughout all their Western Canada offices, by managing and creating all print materials and working with branches to ensure clarity around in-house-produced documents. 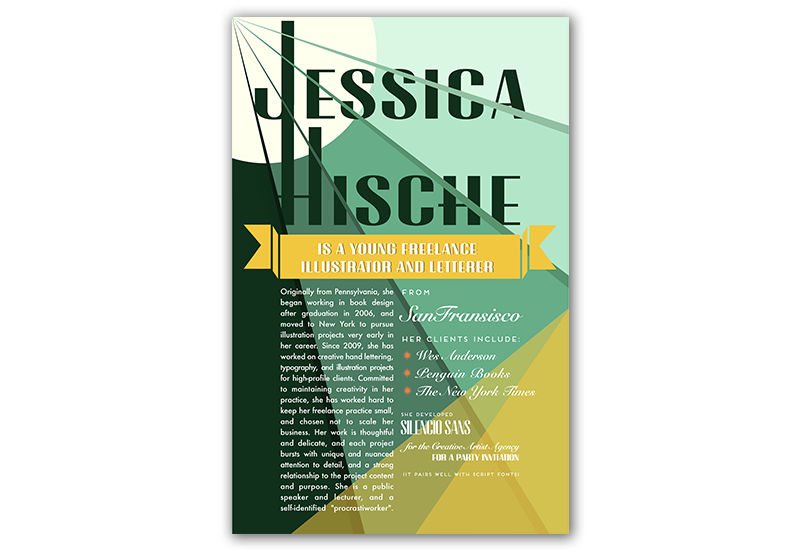 As a project for an advanced typography course, I did this poster to highlight another young designer, and one of her signature typefaces, Silencio Sans. I worked with the art deco aesthetic to create something colourful and engaging. 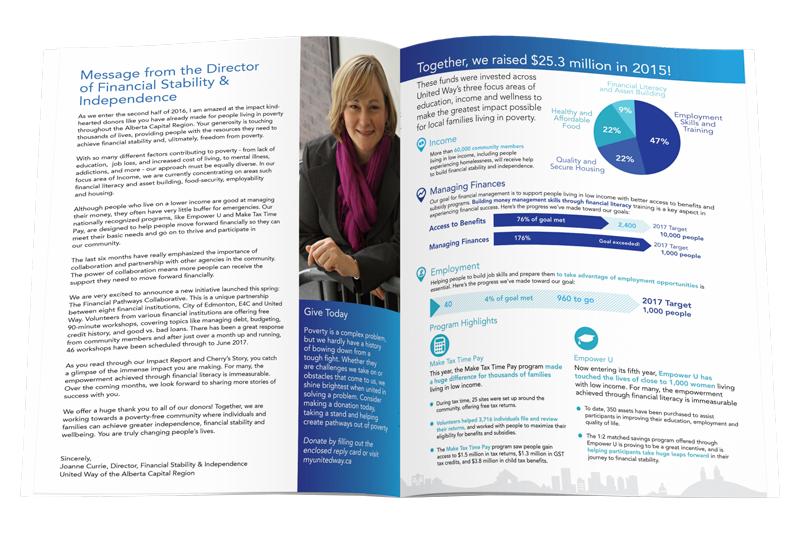 In partnership with Shift Philanthropy, I designed the 2015 impact report for United Way Alberta. We created an engaging outline of donors’ and volunteers’ massive impact on their Calgary community, for both current and potential community members. 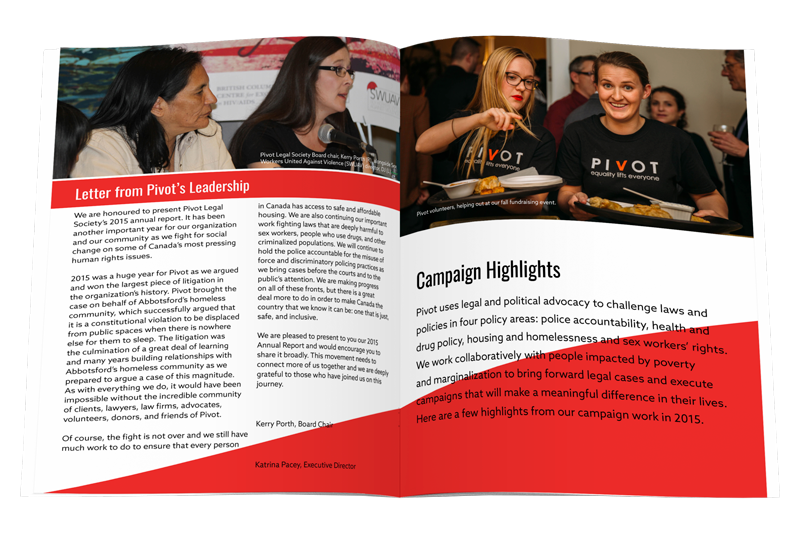 In partnership with Shift Philanthropy, I designed the annual report for Pivot legal society, along with other print materials. 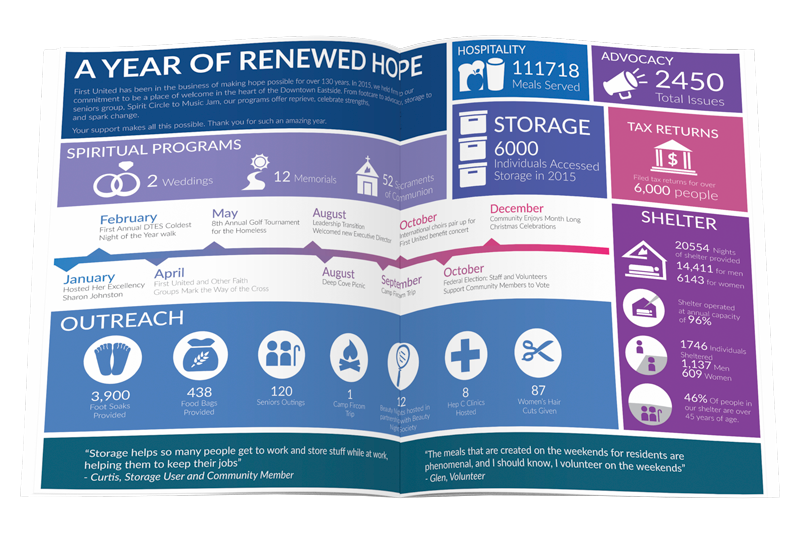 The annual report project was aimed at creating a new look for their annual reports to engage donors, while keeping the information front and centre, and the design minimal. I work with small and large clients to help visualize their brands on and offline. I project manage too, and work hard to make sure everyone is on time, on budget, and really impressed with the finished product. I have a passion for handicrafts and the “old-school” way of making things, and translate this into design clarity and timelessness, that for me, takes priority over using the latest trends where they may not suit. I try to look at what works for you, and your project, and come up with the most individual solution I can. I excel at coming up with solutions that aren’t necessarily common, but suit the challenge in the best way possible. Please send me an email to learn more about my process, pricing, and how I can help out! Mairin would love to hear from you. Send her an email!